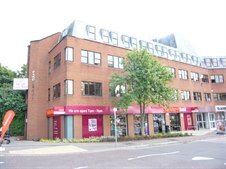 Cattaneo Commercial have just completed the letting of some 6,369 sq ft of refurbished offices at Hanover House, 76 coombe Road, Norbiton, Kingston upon Thames, Surrey KT2 7AZ. The space has been acquired by South London Doctors Urgent Care who will run the local 111 call centre and emergency care services for the NHS. Please do not hesitate to contact us if you are looking to dispose of your commercial property, being offices, industrial or retail, as we are still experiencing strong demand in the Kingston and surrounding area.